Konstantin Kisin is an award-winning Russian-British comedian. A regular host at the Kilkenomics economics & politics festival, he has spoken about Russian humour on the BBC and performed at some of the biggest comedy clubs in the UK. 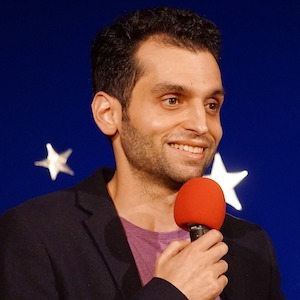 He is also the founder and co-host of TRIGGERnometry: an online show where 2 comedians interview controversial public figures, former Presidential advisors, leading journalists, senior economists and others about politics, economics, big ideas and the culture wars.